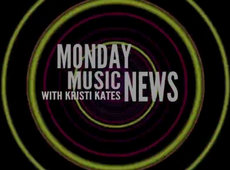 Monday Music News is a podcast, hosted by Kristi Kates, discussing the week's music news. Being a musician herself, Kristi is very interested in the music world and gives you in-depth analysis on new music releases, band road trips, and more. No Recording due to comcast outage. All I Want For Christmas is MMN! This page was last modified on 15 May 2017, at 01:18.